If you’ve been reading us for a while you already know that we are movie and series lovers! So we’ve thought on sharing some of our love for movies with you on our #moviereview posts! Better than talking just about the movie we want to share with you what we’ve learnt from it, cause you know, there’s always a life lesson that you can put into practise if you watch and listen carefully to it. Just like we did for Alice through the looking glass movie. So…which movie have we chosen this time? 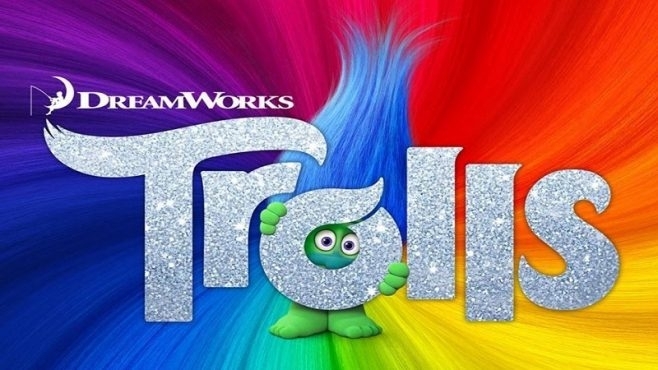 If you’ve got little ones and have a sticky memory for soundtracks you already guessed it..yep, Trolls, the last animation movie from Dreamworks. I’m not going to spoil you with any details, but you can expect lots of cool songs, old and new, good sense of humour for little ones AND grown-ups and very colourful, energetic characters. It is one of those films that everyone can enjoy. What did we learn from the trolls? These little cute creatures live in the forest in a state of never ending happiness, while the Bergens are these grumpy beings that don’t know how to be happy until they find out that if they eat a troll they will experience “true happiness”. In the beginning of this week I was thinking about this post, about how I was going to tell you how to be happy, cause you know, I was feeling happy myself, and thought yeah! maybe this will help someone…OK now I know that I am the one that needed this post the most. For various reasons I felt more than justified to feel as “grumpy” or even as sad as the Bergens. Thinking to myself, oh, if hubby had another type of job, or oh! if I could have someone to help me with the house chores, or If I could feel less tired… I didn’t realise then I was looking for my “troll” to experience “true happiness” Thinking that if I only had “that thing” I would be able to know what happiness feels like. 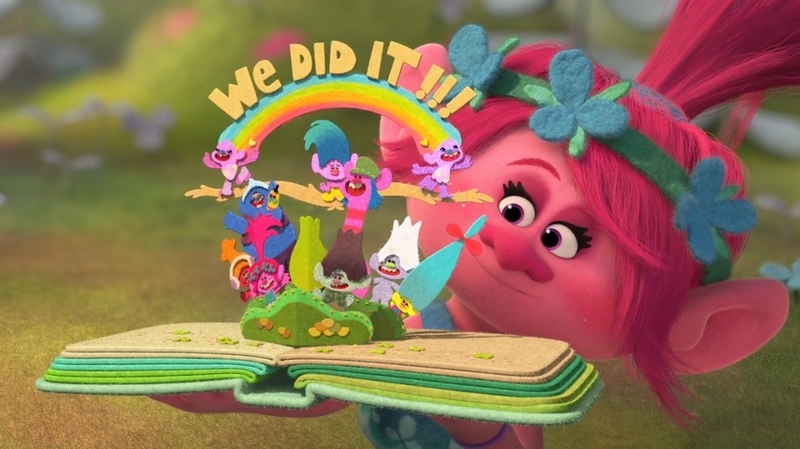 If you see the movie, you will understand that the trolls don’t live on a state of never ending happiness, they live on a state of never ending good attitude. The way how we react to things, how we face the challenges of life will make us find sunshine in our pockets, or empty dirty pockets. It is up to us. I can say that as for today, I have been able to find sunshine, while watching my kids laugh, and me laughing with them, while getting excited with hubby watching one of the last episodes of a series we are hooked at or just appreciating that I no longer have back pain any more. Previous Post How safe are your children online? I really want to see this movie! It’s sounds fab!! I love films like those that you can take away a message and apply it to your own life, I’m looking forward to seeing Trolls. Little J looks very happy dancing in the flash mob. Q lindo hijita!!! gracias por compartir. Ojala pudiesemos vr tan facilmente como los trolls q sus bolsillos estan llenos de luz. Tienes toda la razon. La actitud aunque no cambia el problema nos ayuda a afrontarlo de la mejor manera.